Leah De Wavrin is with One (NY), Elite (Milano), Elite (Paris), Model Mgmt (Germany), Exception (France). PONY RYDER: Where are you spending your holidays? LEAH DE WAVRIN: In my family house in Corfu, Greece. PONY RYDER: Which beach is your absolute favorite? PONY RYDER: What is your usual drink when you meet your friends? PONY RYDER: And your favorite drink? PONY RYDER: What is your favorite brand of bottled water? PONY RYDER: Summer food choice? PONY RYDER: What is your summer must have make up? LEAH DE WAVRIN: I don't really like to wear make up in the summer but some funky shades on the lips is quiet fun. PONY RYDER: What brand of bikini is your favorite? LEAH DE WAVRIN: I love Eres. PONY RYDER: What is your choice of “summer perfume”? PONY RYDER: And your summer beauty essential? PONY RYDER: Will you attend some music festivals this year? LEAH DE WAVRIN: I just attended Glastonbury, it was so much fun! I can't wait for the Notting Hill carnival! PONY RYDER: What’s your music choice for this summer? LEAH DE WAVRIN: Coconut records, thanks to Keegan! PONY RYDER: And your favorite artist in general? LEAH DE WAVRIN: Richard Prince, Leonardo da vinci, Terry Richardson, Mario Sorrenti and Testino, Mark Gonzales and so many others!! PONY RYDER: What ring tone does your cell phone have? PONY RYDER: What book will you read this summer? LEAH DE WAVRIN: I haven't chosen yet. I am reading Torey L. Hayden at the moment. PONY RYDER: What magazine is in your bag every month? LEAH DE WAVRIN: I like Elle an French Vogue. 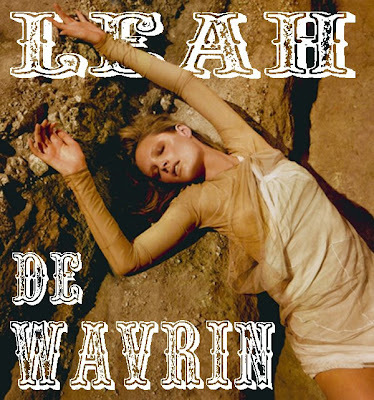 Summer Guide with Fashion Model Leah de Wavrin is original work by Pony Ryder.